In Matthew chapter 2 we read the account of the wise men who came from the east to meet Jesus. We must ask ourselves, who were these men, and why did they get invited to meet the Messiah? The first thing we notice is that these wise men came from the east, most likely they were Gentiles from Arabia, this would have included modern day Saudi Arabia, Yemen, Oman, UAE and Iraq. Firstly; both Jesus and the wise men came from a distant place to Bethlehem. The Wise men travelled from a distant country in the east, and Jesus as we know came from God the Father and took on human form as he became Emmanuel, God with us (see John 1:1-2, 9-12). Secondly; one might be tempted to think that because of all the prophecies relating to the messiah being Jewish, it would mean that he only came for the Jews. However, with these wise men coming from the east, God clearly announced that Jesus came for all mankind. Thirdly; these wise men were wealthy, but to say that Jesus came from a place of means, is probably the greatest understatement in history. If you read Revelation chapters 4 and 5, you will see a glimpse of the majesty and the incredible riches of heaven. Jesus was surrounded by wealth, power and majesty in heaven, and yet he humbled himself to come as a poor baby born to a poor couple in a humble stable. This child born in the manger is the Lord who created everything and owns everything. And finally, the wise men were generous as they brought extravagant gifts for Jesus. Jesus himself came to bring a gift of unimaginable worth to all who would receive it. Jesus came from a position of wealth and he came with a gift, the ultimate gift of eternal life (see Galatians 1:3-4a, 1 John 3:16, John 14:27a, Philippians 4:13, Mark 10:45). Have you ever wondered why the wise men came to Bethlehem? The greater question is, how did these wise men know that the King of the Jews was to be born. We know that ancient eastern scholars were students of the natural sciences and in fact they came from a culture that valued the study of the stars and the planets. Thus, when they saw this strange star in the sky, they began digging to find out why it was there. To find out how they came to know about Jesus, you must go back nearly six centuries to the Babylonian exile of the southern kingdom of Israel in 587 B.C. After the exile had ended, some of the people of Judah remained in the eastern lands where they maintained their oral traditions and scriptures. They would have taken the tradition of telling the stories of the ancient scriptures to whoever would listen. These transplanted exiles would have told of the prophecies of Jeremiah, Daniel, and Isaiah about the coming Messiah the King of the Jews. These wise men would have known of the ancient prophecies of the Messiah coming in the west. And when they saw the star, they came to meet this king. However simply knowing of an important birth happening hundreds of miles away probably wasn’t the real motivation for their coming to Bethlehem. I believe is the real reason the wise men visited Bethlehem was that God the Holy Spirit invited them and compelled them to meet Jesus. Just as God invited, and prompted the wise men to come and see Jesus, so to, today, the Holy Spirit invites and compels people to come and meet Jesus. 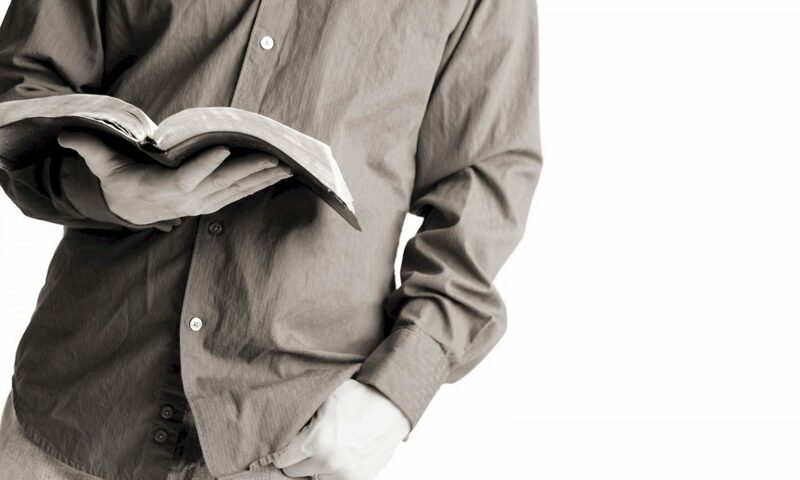 One of the incorrect statements we often hear is, “I found Jesus”. Well the truth is that you didn’t find Jesus, he invited you to meet him. When the wise men finally come to the house of Mary and Joseph, imagine Mary’s surprise when these wealthy, well dressed, upper class men come into her home and when they see the baby, they bow down and worship. These gentiles probably didn’t speak Aramaic or Hebrew, but they bow down and worship the king. They had been invited to witness the most important birth in all of history and unlike the rest of the people around them, they knew who deserved to be worshipped. The rest of the people in Bethlehem at that time did not recognize Jesus for who he was, and they never did. These wise men were the first non-Jewish people to worship the Son of God, and just like you and me today, they were invited in. Because Jesus didn’t come only for the Jews, but he came for all nations for all people groups. Have you met Jesus? Have you worshipped Jesus? There is only one gift that we have to offer Jesus, and that is the gift of our lives, fully committing our lives to worship him and live for him. The Christmas carol “What Child Is This?” was published in the United Kingdom in 1871, and for close to one hundred and fifty years, the question found in the title of this carol has become an annual reminder that something significant happened on that night in Bethlehem as someone significant lay wrapped in swaddling clothes in a manger. The title of the carol is intended to be the primary question the shepherds must have asked on the night they visited the baby Jesus. After their angelic encounter and receiving the startling news while they tended their sheep on the outskirts of Bethlehem, their heads must have been spinning as they tried to comprehend all they experienced on that first Christmas night. Luke’s Gospel records the scene in Luke 2:8-18. What child is this? He is a shepherd; Jesus described Himself as the good shepherd in John 10:11. He is the one who came to lay His life down for all of humanity just as a good shepherd lays down his life for the sheep. While at times the shepherds in the Christmas story have been labeled as the ones who were a bit rough around the edges and living on the lowest rung of society’s ladder, Jesus describes Himself as being a shepherd who has great responsibility. There is no greater responsibility than holding the life of another in the control of one’s own hands. Protecting the life of others was the responsibility and calling of the shepherd. The imagery of the shepherd is prominent in Ancient Near Eastern history. Shepherds were equated with righteous government and often appear in contexts where the subject of justice is prominent. Shepherds were expected to be the ones who showed kindness in counseling, protecting, and guiding those whom they were responsible for through every difficulty. Even the shepherd’s crook has been viewed throughout the ages as a symbol of power, authority, and strength. shepherds are mentioned over one hundred times in the Bible. One of the first careers found in the pages of the Bible is that of the shepherd, Abel, the son of Adam and Eve was a shepherd (Genesis 4:2). In the Bible, those who possessed flocks of sheep and other animals that needed shepherding, were viewed as wealthy and powerful. 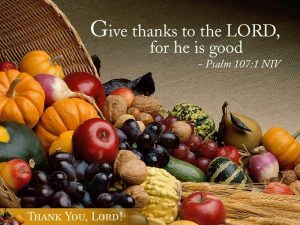 Great flocks and herds were seen as blessings from the hand of God. Abraham is an example of such a blessing of this type when he is described in Genesis 24:35. Jesus himself, speaks about having many sheep later in John 10:14-16. Jesse’s son, David, was given the responsibility to take care of his father’s sheep before he would be called to care for and lead the people of Israel as their king. The place David was found before he was anointed as king by the prophet Samuel was out in the fields tending his father’s sheep in 1 Samuel 16. Remember, the Lord sent Samuel to Jesse to anoint one of his sons as the future King of Israel. Jesse presents each of his sons before the great prophet and the Lord rejects all of them, finally Samuel asks Jesse in verse 11, “Are these all the sons you have?” Jesse responds that there is one more, but he is out tending the sheep. He is the little shepherd boy, and the thinking was that he could never be the future king. Even after this incredibly significant anointing of David as the future king of Israel, he continued to fulfill his duties as a shepherd while King Saul still sat as the King of Israel. The child that would be born in the manger in Bethlehem would be near the pastures that David grazed his father’s sheep centuries beforehand. The Savior of the world, the good shepherd, would be born in the City of David and a direct descendant of the King who also was a good shepherd. What child is this? He is a shepherd and king just as his ancestor David. The principal duty of the shepherd was to make sure that the animals under his care had enough food and water. 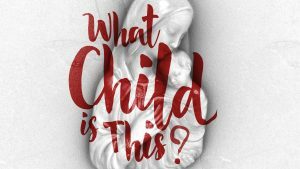 David’s most famous Psalm speaks to this in Psalm 23, that begins with truth that echoes the answer to the question of the carol: What Child Is this? (see Psalm 23:1-2). What Child Is This? He is the one who will provide for and protect all who are under His care. The good shepherd went to great lengths to take care of those under his or her care. He would make sure they were kept intact and would go to great lengths to find one sheep that was missing (see Matthew 18:10-14). What child is this? He is the one who left all the riches and comfort of heaven to look for the ones who went astray. The prophet Isaiah wrote, “All we like sheep have gone astray; we have turned—every one of us—to our own way.” (Isaiah 53:6). This child in the manger would grow to become the one who came to seek and to save those who were lost, alone, exposed, and astray. He is the one who came to lay down His life. He is the one who came to provide for and protect His flock. He is the one blessed with ones He would call His own and who would come to know His voice. He is the one who is the good shepherd.